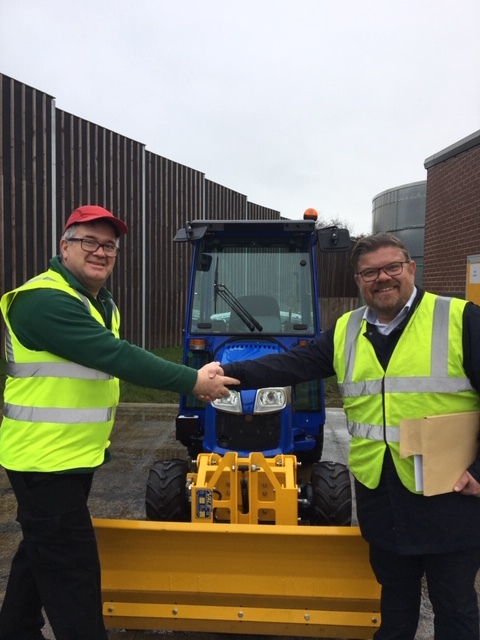 Winter is here.....and this morning we have delivered a new Iseki TXG tractor fitted with snow plough and rear mounted gritter. The Iseki TXG gives sites the flexibility of gritting when they see a potential cold snap arriving, therefore not having to rely on external contractors whomight arrive too late. Fitted with a 1.5m snow blade and offering a 250ltr hopper capable of holding 300kg of grit or salt the gritter offers a hydraulically driven spinner allowing a spread of 1.8 / 6m. If you are interested in our range of winter maintenance equipment please dont hesitate to contact us.